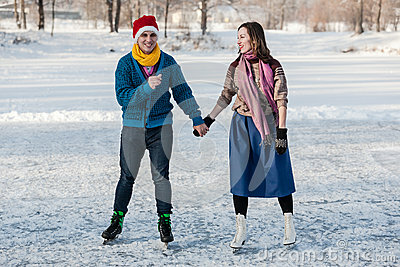 Happy couple having fun ice skating on rink outdoors. Happy couple having fun ice skating on rink outdoors. Winter sport and leisure concept. Love and fun in wintertime.